Sun Pharmaceuticals Industries Limited (Sun Pharma) announced that the Board of Directors of the Company at its meeting held on June 23, 2016, approved the buyback of its fully paid-up equity shares. The buyback is being undertaken by the Company to return surplus funds to the equity shareholders and thereby, enhancing the overall returns to shareholders. Sun Pharma is the world’s fifth-largest specialty generic pharmaceutical company and India’s top pharmaceutical company. The company is having customers and patients in over 150 countries across the world. Sun Pharma’s global presence is supported by 47 manufacturing facilities spread across 6 continents, R&D centers across the globe and a multi-cultural workforce comprising over 50 nationalities. In India, the company enjoys leadership across 13 different classes of drugs with 30 brands featuring amongst top 300 pharmaceutical brands in India. Its footprint across emerging markets covers over 100 markets and 6 markets in Western Europe. Its Global Consumer Healthcare business is ranked amongst Top 10 across 4 global markets. Its API business footprint is strengthened through 14 world class API manufacturing facilities across the globe. A maximum number of fully paid up equity shares to be bought back 7.5 million equity shares representing up to 0.31% of the total paid-up Equity Share capital of the Company. Considering the above working, every person holding 1000 shares will have an entitlement of approx. 4 shares to the company under buyback. Considering the current market price of Sun Pharma, gain per share is INR 140. Hence Effective gain one will get INR 0.6 per share. Buyback price per share will be INR 900 for each fully paid equity share payable in cash. Buyback Mechanism – Proportionate basis through a Tender Offer. From the table below, it looks like that Sun Pharma is funding this Buyback by borrowing funds in at least short term. This practice is common in the United States where fortune500 companies like Apple Inc. & Google etc. repurchase their common stock or even pay dividends out of borrowed funds with the holding company through its subsidiaries have free cash. As per SEBI guidelines, 15% of the buyback offer is reserved for shareholders holding equity shares having a market value of not more than INR 2, 00,000 as on the record date. The Company has fixed Record Date as July 15, 2016, for the purpose of Buyback of equity shares. The Buyback is being undertaken by the company to return surplus funds to the equity shareholders of the company. The Buyback may help in improving financial ratios like earning per share, return on assets and return on equity calculated on the basis of consolidated financial statements by reducing the equity base of the company. 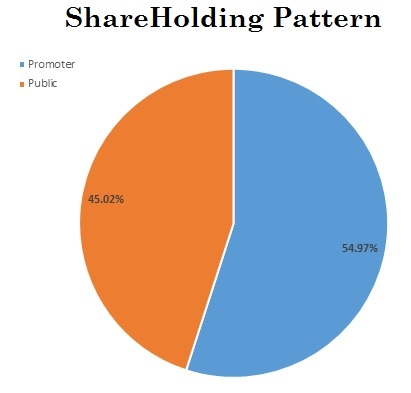 It gives an option to equity shareholders to either choose to participate in the Buyback and receive cash in lieu of their equity shares which are accepted under the Buyback or choose not to participate in the Buyback and get a resultant increase in their percentage shareholding in the company post buyback, without an additional investment. However, considering the size of the buyback and current capital size of the company, there is the only marginal improvement in financial ratios. The company has about 5 lakh shareholders. *Above calculations are based on assumptions. In the case of a dividend, it assumed that 50% of the amount is received by the persons who will receive dividend more than INR 10 lakhs. In the case of Buyback, Capital gain tax & Cost of Acquisition will vary person to person. for the calculation purpose, we have assumed 10% tax (ignoring Cost of Acquisition). Cess & Surcharge are not considered while calculating tax in the hands of shareholders. In finance budget 2016-17, The Finance Minister proposed tax at the rate of 10% of gross amount of dividend received by an assessee being Individual, HUF or a firm, if total dividend received during the financial year exceeds INR 10 lakhs. This tax is in addition to the dividend distribution tax paid by a company which is approximately 20%. Gross amount to be received by the shareholders will be less in a case of a dividend. Further, in a case of a dividend, All Shareholders (receiving dividend more than INR 10 lakhs) & the company has to compulsorily pay the tax, however, in a case of Buyback only shareholders who will offer their shares, need to pay the taxes. Promoter holds shares in Sun Pharma mainly in an individual capacity. If Sun Pharma declares a dividend, Promoters will receive an ample portion of dividends, which would very much go beyond INR 10 lakh limit. For them, it would mean double taxation if one takes into account the dividend distribution tax apart from tax on high-value dividends. Consider this. Suppose Sun Pharma continues its previous dividend i.e. INR 3 per share, (Assuming he offers value of shares for Buyback equal to dividend to be received) tax to be paid by Mr. Dilip Shanghvi is almost neutral in both Dividend payment and Buyback options. However, in Buyback, there is no need for the company to pay 20% dividend distribution tax. After the tax imposed by the government on dividends above INR 10 lakh, companies are using the buyback way to reward shareholders. Further, in Buyback option, companies can give more return to the shareholders compare to the Dividend option. It’s Interesting to note that Sun Pharma is paying INR 675 crore to the shareholders in the form of buyback which is a little less than INR 722 crore which it paid last year in the form of the dividend. Thus, considering the size and promoter’s participation in Buyback, it is likely that Sun Pharma is using Buyback tool instead of Dividend. « Kokuyo Camlin Has Broad Shoulders But a Narrow Hip!